Sad fact is that tales of automotive daring do are few and far between nowadays. Speed limits and cameras having put the lid somewhat firmly on exploits of that nature. But back in the day when chaps were chaps and every journey was an adventure to look forward to, well they just did it. And with a name like Woolf Barnato, you were half way there to gaining a reputation before you’d even arrived! Now our Woolf was by any accounts a bit of chap (he’s the fellow on the right). Having inherited his father’s wealth at the age of two or thereabouts (his father made a fortune in diamonds then promptly fell overboard while travelling back to Blighty), he went on to carve his own very successful career as a financier. At the same time he developed something of a taste for fast cars too. And he had the talent to match, a talent that ultimately led him to win three consecutive Le Mans victories for Bentley – and so the Bentley Boys legend was born. But for some, when you’ve won three Le Mans on the trot, you’re looking for the next challenge. Woolf found it. Racing a train. 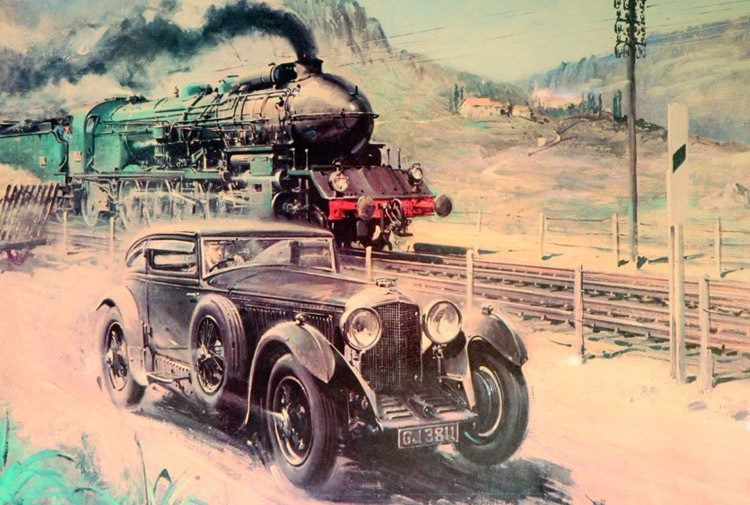 The Blue train. From the Côte d’Azur to London. In a Bentley. 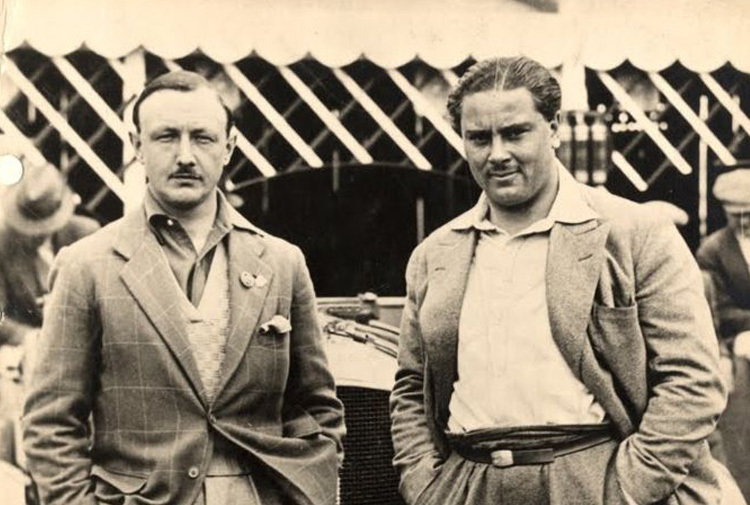 When the day dawned, Woolf and his chum Dale Bourn were downing an aperitif in the bar of the Carlton Hotel. Word came that the train was leaving the station, so they jumped up and off they jolly well tootled. Now casual as this might appear, it was no walk in the park. So they’d arranged for garages to remain open to minimise refuelling delays. And Woolf had also noted that the train had over four hours of stops on its journey north so he knew that gave him a little something in hand should he need it. And he did as punctures and missing fuel lorries conspired to make the race more fraught than he’d intended. But the chaps kept their heads down and like the true gentlemen that they were(!) overcame adversity as one does old chap, and parked their Bentley outside the Conservative Club on London’s St. James’s Street just four minutes before the Blue Train reached Calais. Close run thing old boy huh? They’d averaged a speed of just over 43mph for the journey that lasted some 20 hours which, all things considered, was pretty good going back in the day. So the legend was born and the car, the GurneyNutting 61/2 litre Speed Six, became the star. Now fast forward to today to Bob Petersen Engineering. 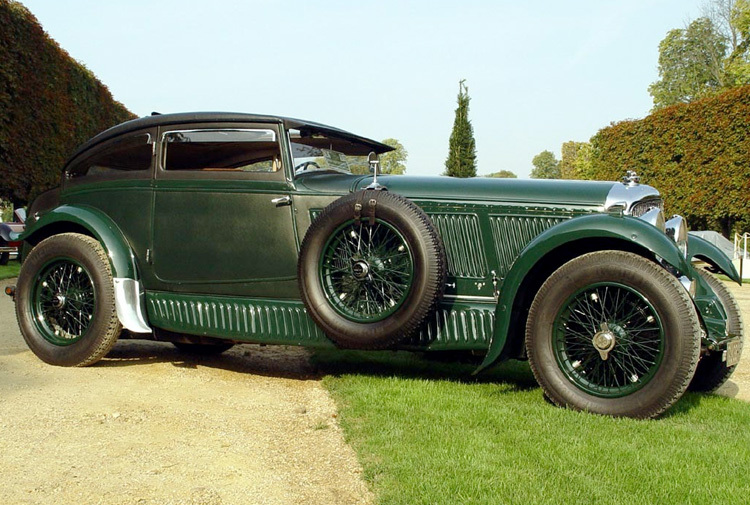 When it comes to fast Bentleys there are a few names that come to mind as the specialists for fettling such fine machinery. Bob Petersen is one. Based in the depths of Devon, for 30 years they’ve been creating or rather recreating bespoke restorations of Bentleys of a certain age. In that time they’ve built around 70 customer cars, five of which have been recreations of that Woolf Barnato Gurney Nutting special. So if sir takes a fancy to a new motor and you’d like to race a train, they’ll obviously be more than happy to oblige (with the car that is. A train might be beyond their organisational capabilities). Then again you might care to plump for one of their other racy items such as the Petersen Road Racer or perhaps a Boat-Tail? Personally we’d be happy with any or all. Meticulously re-engineered, recreated with passion, you have to ask why blow it on a modern supercar any old jack the lad can have when you could have a Petersen. Just like Woolf’s please. To find out more and start dreaming the dream, visit the Petersen Engineering website.